New to Milford Ice this season. The Milford Mission is a program specifically designed for children and young adults affected by ASD and other disabilities. Our two major instructors, Rachel Ricca and Matt Bohn, have extensive experience on and off the ice, working in these fields. Every Wednesday and Sunday in May. Come out and join the fun! Milford ice introduces our 2019 spring team, the MUD HOUNDS. Please see the flyer under the hockey tab or call the office for more information. CHECK OUT WEDNESDAY MORNINGS AT MILFORD ICE! Contact Rachel Ricca for more info at milfordiceRachel@gmail.com. Conveniently located right off exit 35 of I95, Milford Ice Pavilion sits in the heart of Milford. 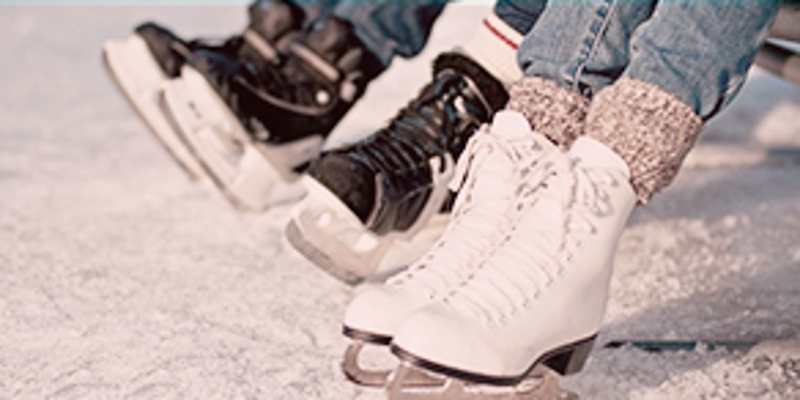 We offer Public Skating and Learn to Skate and Learn to Play Hockey programs. High Schools, Travel Hockey Programs and others make Milford Ice Rink their home. Check out out the options! 2 ways to get great exposure to over 350,000 people throughout the year from our dasher boards and web site! If both the above items are purchased together, a 10% discount will be applied! Call Laura for more information, 203-878-6516. Form to secure a spot is below. ©2019 Milford Ice / SportsEngine. All Rights Reserved.